Justice of N.C. Supreme Court, 1833-44; lawmaker. An advocate for state's Catholics. Wrote state song, "The Old North State." 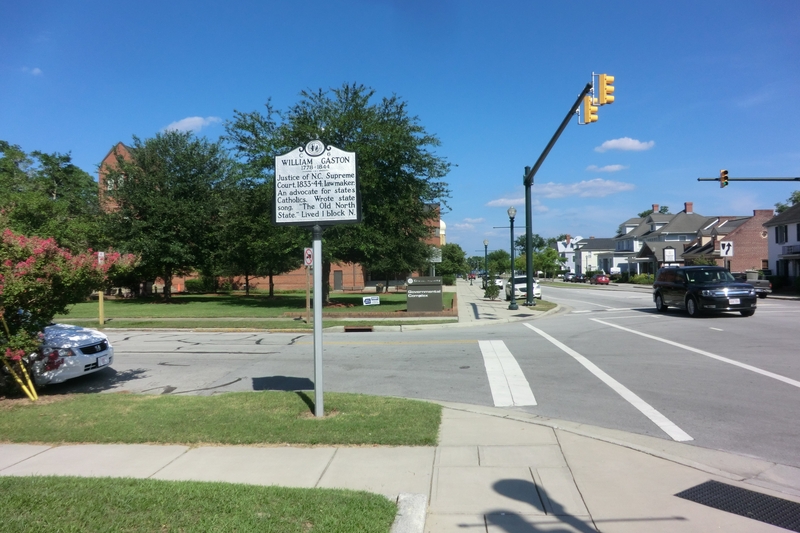 Lived 1 block N.
William Gaston—poet, politician, and lifelong student of the law— was a leading figure in nineteenth century North Carolina politics. Through an extended and distinguished career of public service, Gaston began his life’s work creating laws and finished by interpreting them. An ardent federalist, he supported a federal banking system, and vehemently opposed American expansionist philosophy, prominent during his lifetime. As a significant contributor to religious freedom and abolitionist movements, Gaston led North Carolina with a steady hand through some of the most arduous periods of United States history. 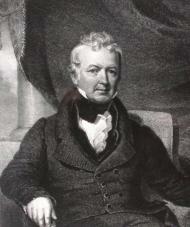 William Gaston was born on September 19, 1778, to Alexander and Margaret Gaston, in New Bern. His father, an Irish immigrant who became a steadfast patriot during the Revolutionary War, was murdered by Tories when William was only three. After graduating from New Bern Academy in 1794, Gaston attended New Jersey’s Princeton College, graduating in 1798. Returning to New Bern, he studied under prominent lawyer Francois Xavier Martin, and was admitted to the bar later that year. In 1800, Gaston transitioned from law to politics with his election to the State Senate, where he became a key figure in the Federalist Party. He served as Speaker of the North Carolina House in 1808, and was elected to the United States House of Representatives in 1813. An ardent opponent of the War of 1812 and the expansionist movement in general, Gaston strongly supported John Quincy Adams in his presidential campaigns against North Carolina native Andrew Jackson. In 1833, Gaston was appointed to the State Supreme Court, where he championed the abolitionist cause, though himself a slaveholder. Himself a Catholic, he helped guide the Constitutional Convention of 1835 to a provision that eliminated a long defunct law that prohibited Catholics from holding public office. In his twilight years, Gaston remained a court justice while occasionally embarking on the lecture circuit. An eloquent speaker and prolific writer, he was often asked to deliver commencement speeches and was popular among philanthropic societies. 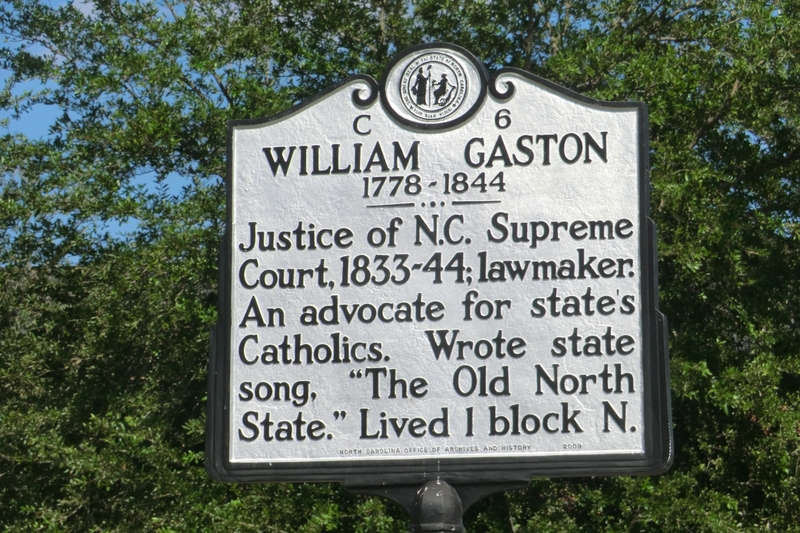 Gaston is perhaps most famous for his poem, “The Old North State,” which he penned in 1840. Later it was set to music and adopted as the state song in 1927. Gaston died in his office on January 23, 1844, and is buried in New Bern’s Cedar Grove Cemetery. Gaston County (est. 1846), the city of Gastonia (inc. 1877), and Lake Gaston are all named in his honor. William Gaston offered North Carolina a radiant example of a life dedicated to public service. William S. Powell, ed., Dictionary of North Carolina Biography, II, 283-5—sketch by Charles H. Bowman Jr.